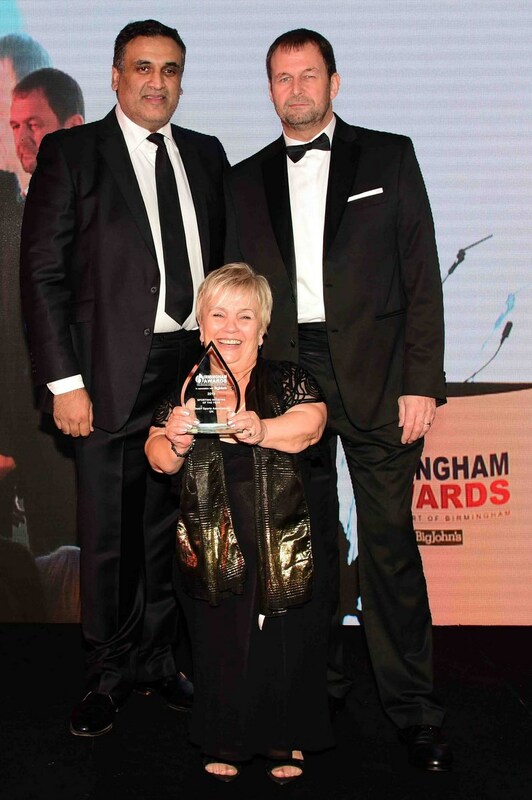 DSAuk have been named top Sporting Initiative in the 2015 Birmingham Awards held on Friday 27th Nov at the Edgbaston Stadium, Birmingham. 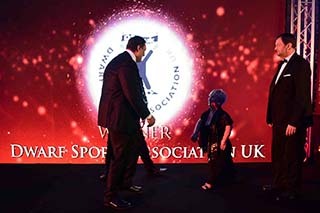 The award was accepted on behalf of DSAuk by April Barrett, Trustee and Nigel Burton, Inclusive Sports Officer. Each year, DSAuk bring the largest single disability sports event to the Alexander Stadium in Birmingham through their athletics event, part of the annual National Dwarf Games. In 2015, just under 200 athletes with dwarfism took part in the national games, the largest number of competitors in the history of the games. DSAuk also support the annual Birmingham Inclusive Sports Festival. The current Dwarf World Games Ladies Football winning team and Dwarf World Games medal winning power lifters all demonstrated their skills at the inaugural sports festival. Amy Bird, Investment and Development Manager with Sport Birmingham, who nominated DSAuk, said "The award is thoroughly deserved for the fantastic work DSAuk carry out in using sport as the tool to empower and build confidence in people with dwarfism and linking sport and the community. The athletics event, held at the Alexander Stadium in Birmingham, is always a fun day filled with many and varied activities for all ages and abilities. 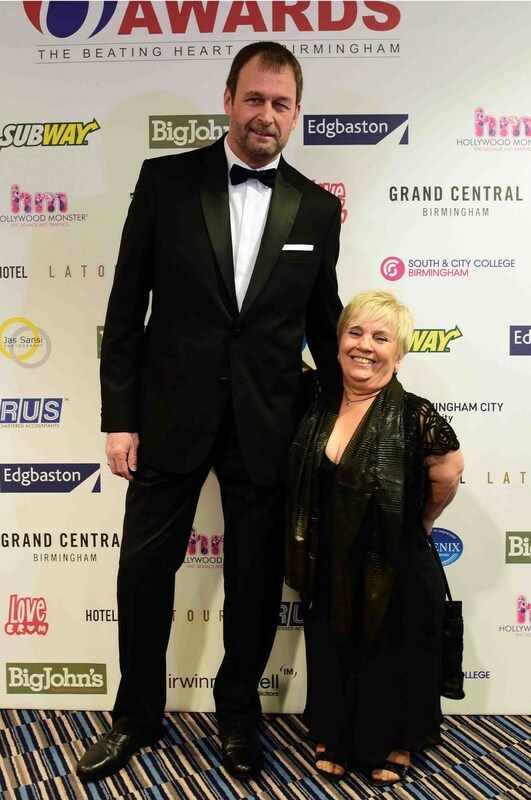 April has been involved in disability sport for many years, most recently chairing the Birmingham Disability Forum in partnership with Sport Birmingham, to help increase the opportunities for people with dwarfism and other impairments to be more active across the city."